The most technologically advanced Bose headset ever. Bose was the first to introduce active noise reducing headsets to aviation more than 20 years ago, forever changing the way pilots fly. Now, the Bose A20 Aviation Headset introduces an entirely new standard. 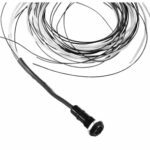 It’s been engineered for significantly increased noise reduction and performs in even louder environments. With an improved degree of comfort you’ll appreciate. All without compromising the clear audio you expect from Bose. Plus, a Bluetooth communications interface, auxiliary audio input and priority switching. It’s made in the U.S.A., and meets or exceeds all TSO requirements. No other headset can deliver this advanced combination of benefits. 1/3 less clamping force than most conventional noise reducing aviation headsets, and additional room for the ears. Clear audio for enhanced communications. Now available from Bose for the first time: Bluetooth communications interface. At least 45 hours of typical headset use from just two AA alkaline batteries. Distinct left and right earcups with swappable cable for improved comfort and ergonomics. All this, and the headset weighs just 12 ounces. 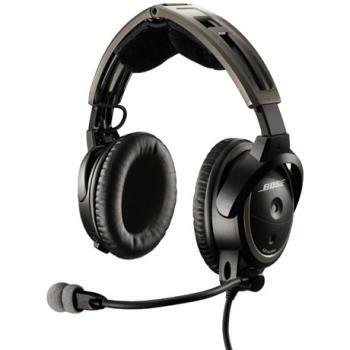 *Available in variants of the headset that use aircraft power for the active noise reduction system.